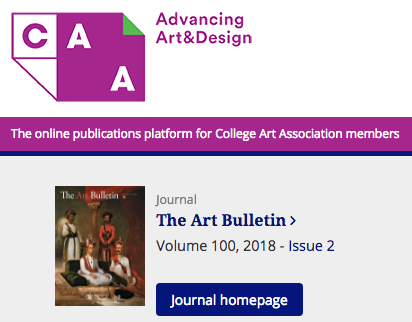 My new book Paik’s Virtual Archive: Time, Change, and Materiality in Media Art has been brilliantly reviewed by Dr Gregory Zinman of the Georgia Institute of Technology in this month’s issue of Art Bulletin (Vol. 100, Nr. 2). 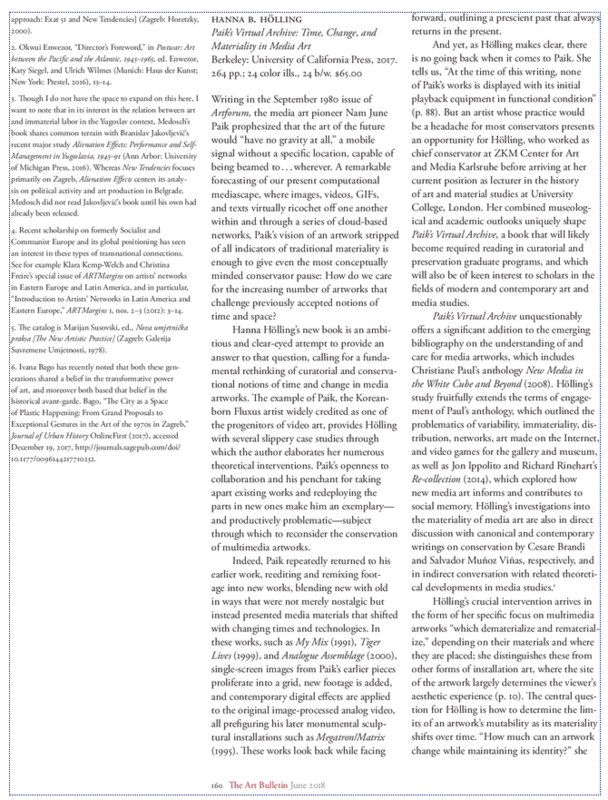 Next to Zinman’s review of my book, the “Screens and Projections” section of the journal features reviews by Kevin Hatch on Erika Balsom and Kate Mondloch on Meredith Hoy’s new book. What an amazing company to be in.